Oh the drama. This was like so much drama that went down I don’t even know where to start. I’m totally gonna make this a 2 part post because the parties involved are still going back and forth as I type this. lol. 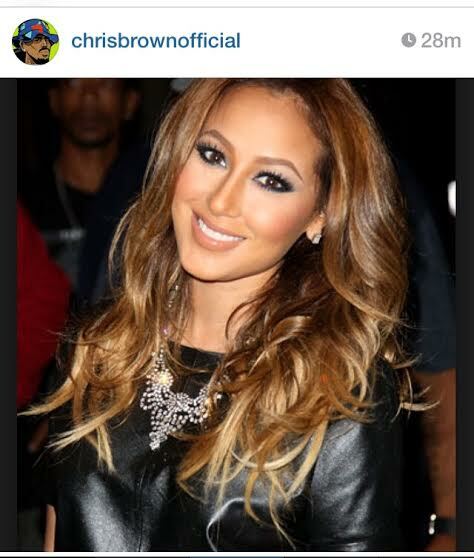 So apparently Adrienne Bailon and Tamar Braxton pissed Chris Brown off today. Forgive me when I say I had never heard of Adrienne Bailon till today so I wont get into who she is or what she does except that she and Tamar braxton (Toni Braxton’s sister) are both hosts of a TV talk show called “The Real”. Apparently on today’s episode, they were talking about relationships and they decided to use Chris Brown and Karrueche’s relationship as an example ( You can check out the video of what they said here). That did not sit well with the singer because he went ham on them via his Instagram account.. See what he posted Below.. 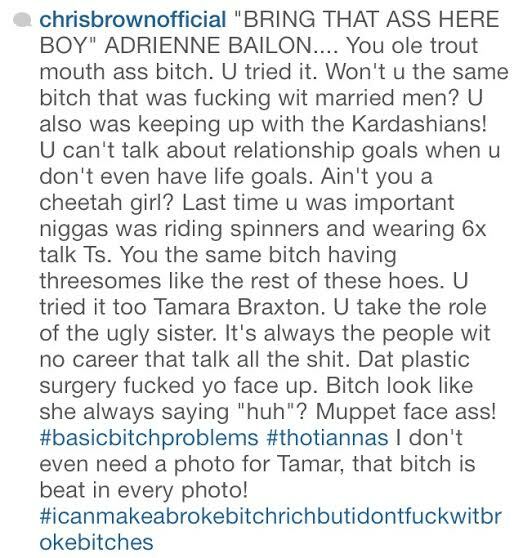 I saw the video you posted and Chris Brown is being petty. People have said worse about him. He should move on. Is he the only example they can use? None of these women have a clean past so why the bullpoo?